We are excited your search for retirement wishes for your mom has brought you here. Choose from the plethora of original and sweet retirement messages/wishes below to congratulate your mother and wish her well as she officially begins life as a retiree. Mom, you really deserve to be congratulated for making it this far in life. Have a truly happy retirement. For all the sacrifices done to make our lives happy, we say thank you! May God bless you and make your retirement the most beautiful chapter of your life. Congratulations on your retirement! May your retired days be filled with sunshine and beauty. As you officially break ties with hard work and welcome rest, I pray that each day of your retired life would be filled with great blessings of good health and joy. Congratulations on retiring in such a glorious manner, Mom. I pray that God will personally bless and guide you throughout this exciting period of your life. Happy retirement! Retirement is total freedom from work. Enjoy it with all your might. Happy retirement! By all accounts, retirement is one of the best phases of a human being’s life. Mom, I’m so glad you get to enjoy this blessing too. May you be blessed with a fabulously happy retirement. This is the day you worked your entire life for. Congrats on making it successfully. May the days ahead of you be blessed and joyful. Mom, your life before retirement was as bright as the sun. May your life during retirement shine even brighter. Have a truly joyous retired life. Happy retirement, sweet Mom. I pray every single moment of your retired days bring you all the joy your soul deserves. Congrats! I have always been jealous of having to share you with your work. So now that you have come home to rest, I am so happy because I will now get to spend every bit of your time with you. Happy retirement, Mom! Sending the heartiest of congratulations to you as you go on retirement. Now you can do whatever you want to do. Retirement comes with countless opportunities to have fun and enjoy life. I hope you grab as many of these wonderful opportunities as possible. Happy retirement! Best wishes on your retirement, dearest Mother. I hope you enjoy this well deserved retirement in the company of true happiness. Congrats! May your retirement be even more blissful than you dreamed it would be. Have the best retirement, Mommy! You worked so hard for us and inspired us to the heights we are now. Mom, nothing will ever stop us from being eternally thankful to you for all your efforts in decorating our lives! As you begin your retirement, we promise to make you the happiest mother in the world. Happy retirement, dear Mama! May happiness be your companion throughout this vacation that has no end. Happy retirement. Best wishes to you, my wonderful mother, on your retirement. May your retirement be as joyous as you make my world. I feel extraordinarily happy knowing that my dear mama finally gets this opportunity of a lifetime to rest and relax without needing to ever think about work. Mom, may your retirement be very satisfying and joyful. Mom, I love you above everything else on earth and can’t wait to have more quality time with you begin your retirement. May your new life be filled with nothing but joyful days! Mom, words can’t express how happy I feel knowing that you finally get to rest from your labors at the workplace. May your retired days be filled with serenity and love. Wishing a spectacularly happy retirement to the greatest Mother on this planet. Congrats, Mom! Mom, my heart can’t stop leaping in joy knowing that you finally get to retire and enjoy all the interesting things that accompany it. Congrats, and may your well earned days of retirement be happy and beautiful. Happy retirement, Mom. May your days be as glorious and awesome as the sun. Wishing the world’s most fabulous mother a truly fabulous retirement. Mom, now is the time to start enjoying the fruits of all your decades of labor. Wishing the most exciting retired life to the loveliest soul in my life! Mom, you make me so proud. Happy retirement! Here’s your dear son/daughter wishing you very wonderful, sweet and fun-filled retirement days. May nature release into this new phase of your life her best blessings. Mom, my greatest wish in life is that you have the happiest of retirements because you deserve nothing short of that. Congrats! I pray that this new chapter of your earthly journey called retirement will serve you with special love, laughter and many great moments with your family and loved ones.Happy retirement, Mother! Happy retirement, Mom! You are finally blessed with the freedom to do whatever you wish at your own pace. May this freedom bring great and unimaginable blessings into your life. Wishing you a blessed and truly happy retired life, sweet Mom. 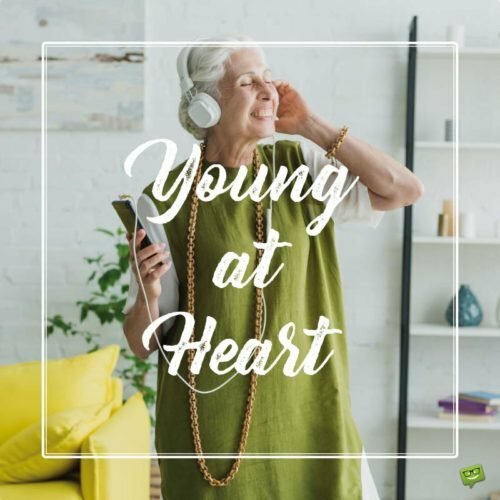 Don’t let anything stop you from enjoying every bit of your retirement! After decades of pressure and toilsome tasks from bosses, you finally get an everlasting time off from work. I am over the moon for you, Mom. Happy retirement. Massive congratulations to my sweet mother on her retirement. Mom, I wish you a retired life filled with days of amazing merriments and blessings! No news ever made me happier than hearing that my dear mama is finally saying goodbye to hard work. Mom, I wish you great luck and happiness in all you do. Happy retirement! Congratulations, Mom, for successfully making it! This is where real enjoyment begins. Enjoy every second of your retirement. 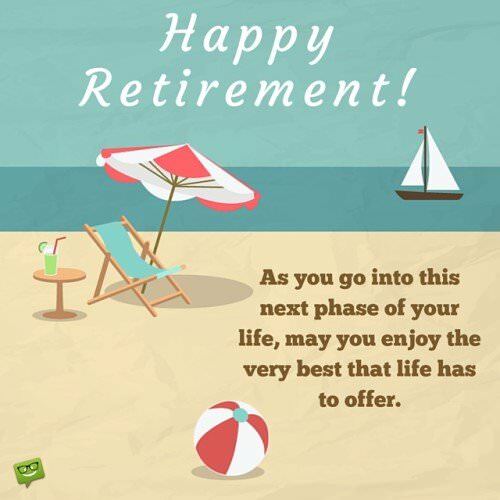 May your retirement be stress-free, exciting and absolutely joyful. Congrats! Mom, I have only one wish for you as you go on retirement. Be happy all the days of your retirement. Congrats! Retirement is the longest vacation in the universe. I hope you enjoy every blessed millisecond of this priceless vacation. Have a blessed and glorious retirement, Mom. In want of the best for us, you always worked so hard. Now, you have been blessed with this wonderful opportunity to rest. And I can’t thank God enough for that. Mom, as you retire, may the days ahead of you be full of happiness. Enjoy your retirement to the max! As you begin this interesting episode of your life, I pray that God will bring to pass every single unfulfilled dream of yours and put happiness in your heart. Happy retirement, Mother! Mom, you deserve every moment of your retirement days because you have worked so hard for it. May retirement bring you an abundance of happiness and fulfillment. Congrats! When you have the luxury of time.